Singapore Handy Man: Why Choose Us As Your Office Painting Services? Why Choose Us As Your Office Painting Services? Regardless of whether it is a large corporate house or a small firm, it is important to keep in mind that your office needs to be well decorated, clean and tidy. This is a part of professionalism that will play a major role in creating a positive image in the mind of your clients and potential partners about your business. Additionally, a well organized and nicely decorated office ensures comfortable working environment for the employees as well which helps to enhance their productivity and efficiency. This is why going for the right office painting services is so much important. It is scientifically proven that how a room or an entire premise is painted can psychologically affect the people who live or work inside it. So here, we are going to cover some important tips about office painting services. - When it comes to choosing the color for painting the interior of an office, white should be on top of your list. White is a neutral color that matches with simply anything. It also reflects more light and makes an office look spacious. It is believed that white sets an optimistic mood which is quite important at the work place. - Blue is also a great choice for office panting. It stimulates better performance and looks good too. - On the other hand, yellow is not the best option for office painting. Although it also stimulates optimistic mentality and enhances concentration, but the color is too loud and may not be all that soothing to look at. Research also shows that people can lose their temper more often in a yellow room. - As far as painting services for your office is concerned, always look for a renowned service provider who has a great portfolio. This will ensure better results as the office painting will be handled by a team of professionals who knows what they are doing. - Before choosing a painting service provider, do some online research regarding their services to make sure that they have what it takes to give you the best service. Check some real testimonials and go through their pricing. If you have any queries, you should drop an e-mail to the customer care or give a call. Some professional websites also maintain live chat service where you can talk with a representative straight away. - While talking to a painting company, ask them how long it will take them to complete your project. 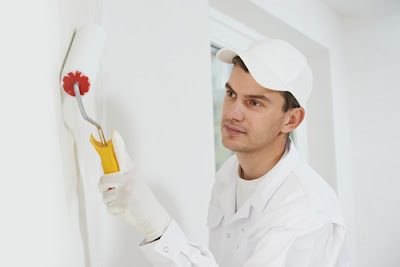 These days, professional painters use advanced technology, equipments and more importantly paints that does not have any foul smell which will cause troubles to the employees during the workdays. So talk about these issues too while choosing a painting service provider for your office. - Always remember, the color that you use for painting your office will depend a lot on the business that you are running. For instance, if it is a bank or an insurance company, you need to keep it simple and a bit formal. In such cases white or off white can be a nice option. However, if you are running advertising firm, plain white might look too simple. You may have to be more innovative. It is to be mentioned that choosing the right painting service provider for painting your office is extremely important. One wrong move and you may have to go through it again which will waste your valuable time and money. So make sure to go for the right service provider who can give you the best result for your money. A highly professional painting service provider will not only follow your requirements paint your office, they will also help you to choose the right color that will go just fine with your office environment. Since most of the painting companies in Singapore have their own business websites, you can check multiple options and compare between their prices before placing your final order. 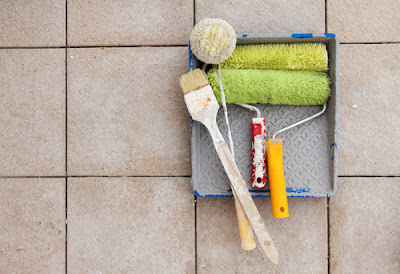 However, keep in mind that to get top quality painting services, you need to pay higher since they are well in demand. Your office represents you and your business not only to your customers but to the employees as well. So go for the best painting service for indoor and outdoor panting of your office. It definitely worth your investment.